Are you tired of your high energy bills? Could your home be more energy efficient? In our opinion, insulation is one of the best ways to help maximize your home’s energy efficiency, and the attic is one of the best places to insulate! Get a quote for your attic insulation in the Newport News area or Richmond, Virginia by filling out the form on this page or calling 757-828-0024. Though you may not go up in your attic a lot (it’s probably cluttered with old holiday decorations, clothes you don’t need and other miscellaneous things), it’s important to insulate it. In fact, failing to ensure you have the right amount of insulation in your attic can hinder your energy efficiency attempts. There is no “right” type of insulation specifically for attics. That said, in our experience, certain types of insulation have distinct characteristics. Foam insulation, for instance, is superior at filling small cracks and holes and covering uneven spacing between floor joists and around wiring, piping and ductwork. Fiberglass insulation is very effective at stopping heat transfer into a colder area (heat leaking out of your warm house into the cold winter air!). And last but not least, cellulose insulation has similar qualities to fiberglass and is great for re-insulating all areas in your home, including the attic. Home energy audits: these home assessments will consist of a complete home evaluation and areas where your efficiency can be improved. Some of the things on the list may include insulation, ductwork, windows, doors, and more. Air sealing: when air is escaping and entering your home, you are basically throwing money out the window (or attic or doors or wherever the leaks are happening). The efficiency experts at Tidewater Insulators can seal up your home to help you save energy and improve comfort. Get a Quote for Your Attic Insulation Today! It’s important to make sure your attic, in addition to being insulated properly, is also sealed and ventilated. 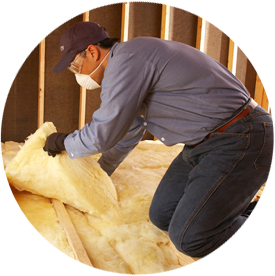 A professional home insulation company will be able to give you specifics so you can have peace of mind your home is on the right track toward becoming as energy efficient as possible. Ready to insulate your attic? Contact Tidewater Insulators and schedule a FREE consultation today! We serve homeowners throughout Norfolk, Newport News, Virginia Beach and the surrounding areas in southeastern Virginia, including Richmond. Our team of attic insulators are reliable, experienced and friendly! Contact us online or by phone at 757-828-0024 to schedule your attic insulation or get a quote!